Want to learn how to fix common knitting mistakes? I’ll show you how they were created in the first place! 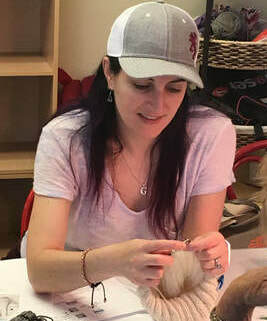 You’ll also learn several tricks to prevent and correct past mistakes, as well as techniques to keep you knitting while having fun building your knitting confidence. All levels of experience welcome! CO 20 stitches. K 4 rows in garter stitch and 6 rows in Stockinette stitch (alternating knit and purl rows). Don't bind off! $40.00 + materials (which must be purchased at Colorful Yarns).